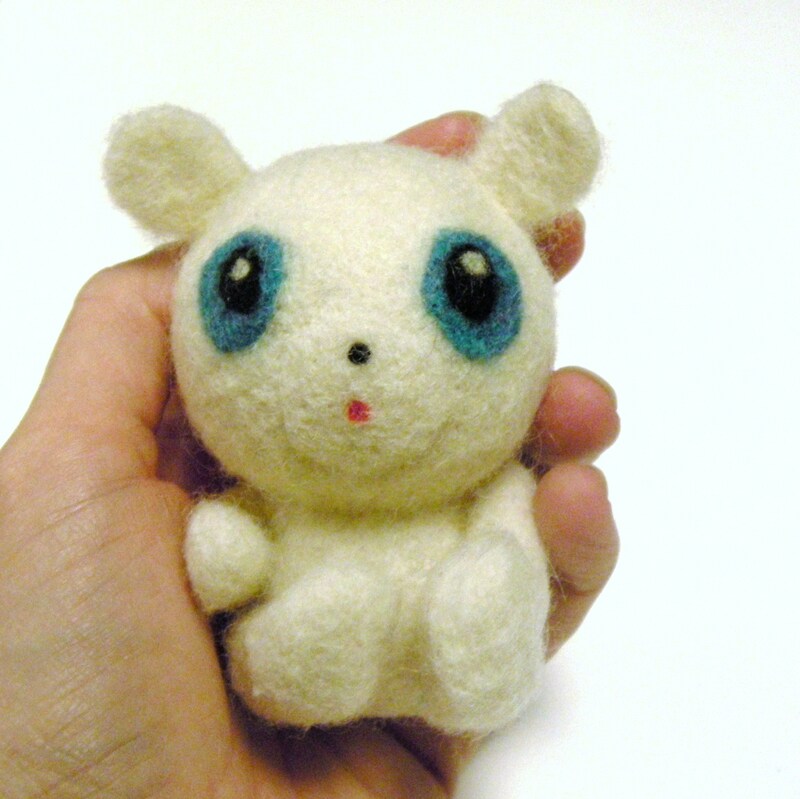 Early on in my blog, I shared a little white needle felted bear that I made for my daughter’s birthday. 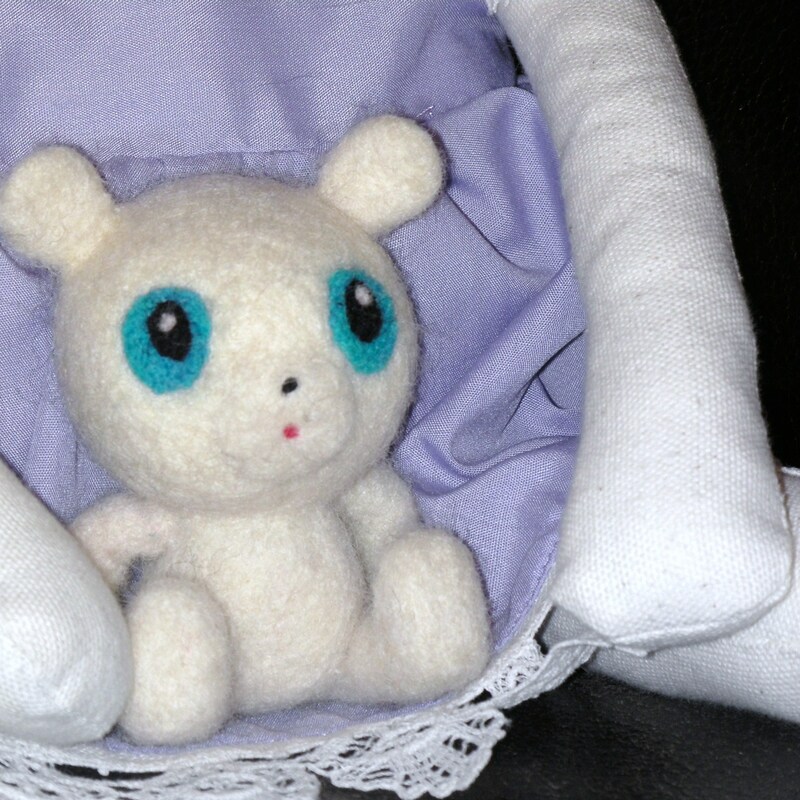 It was a replica of a stuffed bear that she had and was meant to be a stuffed toy for her new babydoll! It has now been about 6 months and my little girl has played with and cuddled this bear so much that it has turned a bit raggedy! My daughter brought me this little bear and asked if I could fix it. My reply-“Of course I can!”. And yes, that is her sad little face; she was making that expression naturally-no coaxing from me. Too Cute! 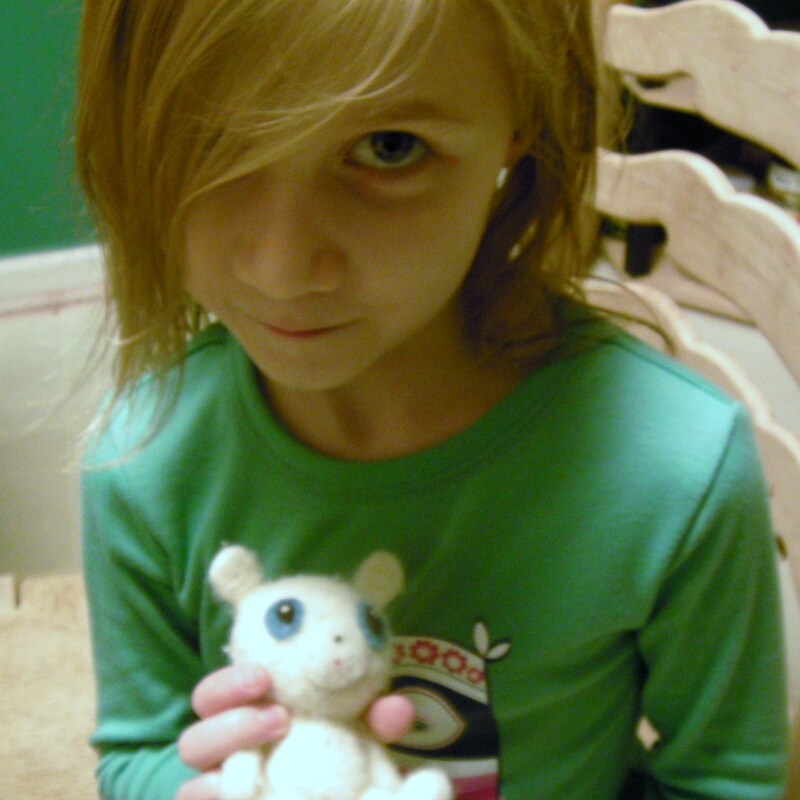 Here is my daughter’s felted bear after the wash. He looks a bit like a soggy dog, but he is dry. The washing smushed his ears down a bit, but other than that he is already looking much better. 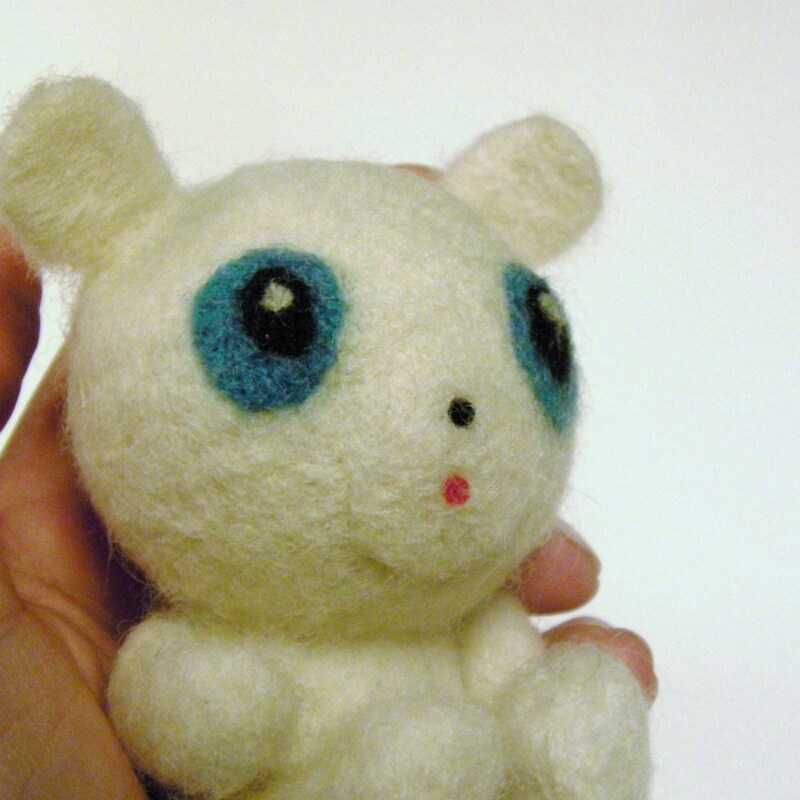 In some cases, especially densely felted figures and simplified felted shapes, this is all you will need to do! 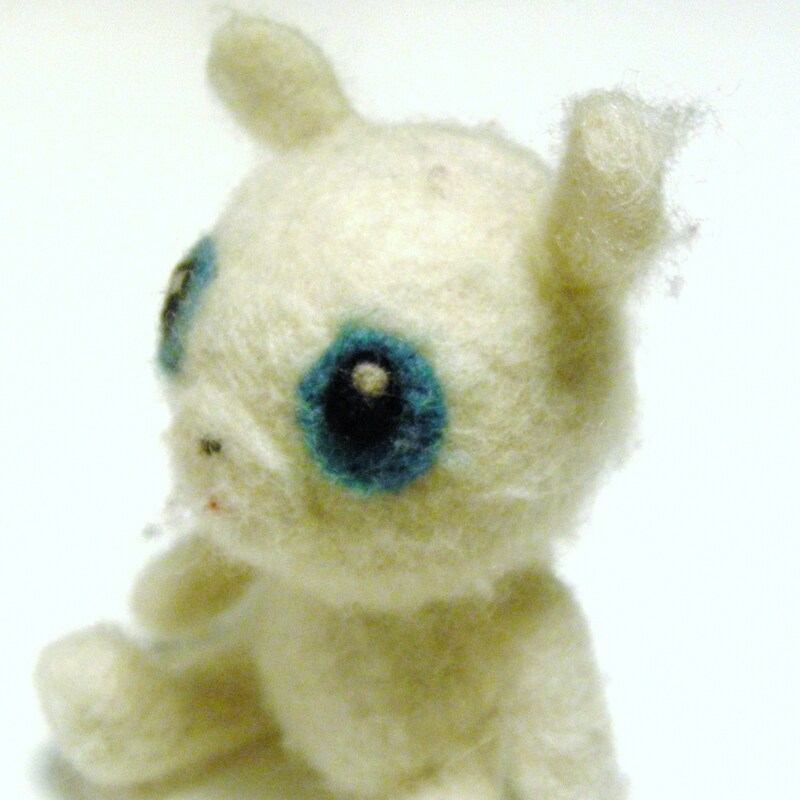 However if after the wash you are still not satisfied, simply grab out a felting needle and do some minor repairs. For the bear, I mostly focused on propping those ears back up and making sure that the limbs were firmly attached. 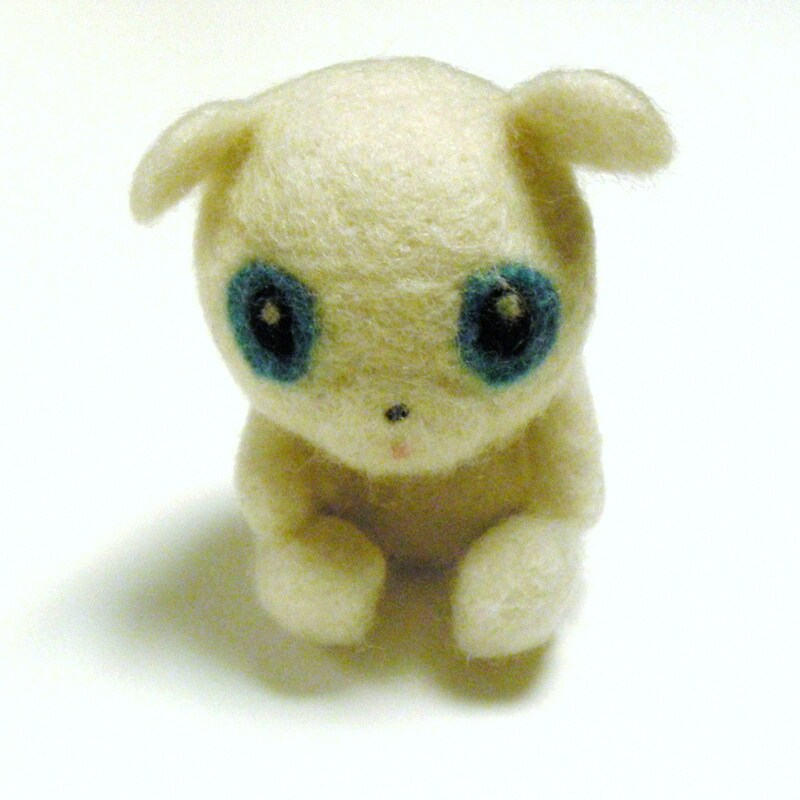 The needle felting repair part only took me about 5 minutes to do. 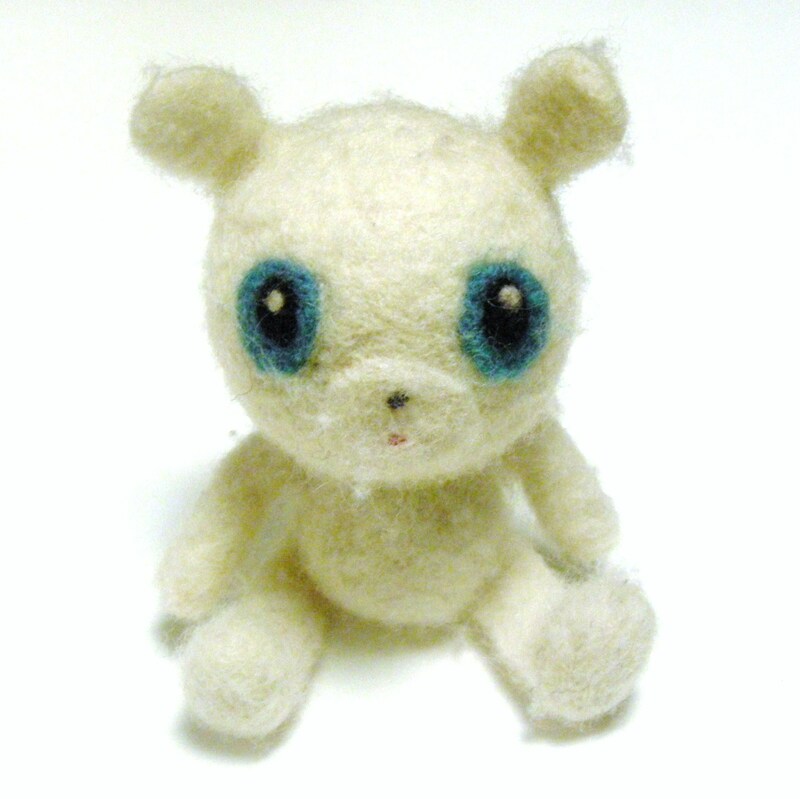 And here is the little felted bear as good as new(well almost! ).